Hello and thanks for stopping by the web site. If you are looking for qualified fly fishing tuition or guide services, or just plain and simple advice ... Stevie Munn Guiding Services is here to help. As a Qualified National Angling Guide (NAGC) and a Qualified Game Angling Instructor (GAIA) approved coach. 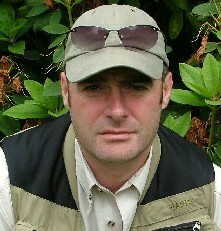 Stevie is qualified to teach all aspects of fly fishing & casting to both newcomers and to those with more experience. He has been assessed in his ability to offer coaching and guiding at the highest level. Stevie holds full Public Liability Insurance & Basic First Aid, as required by the Joint Angling Governing Bodies. technique or take up the sport for the first time.